This is an image from one of my books and a variation of the "plan to make friends" image I shared previously. Jasmine and her imaginary cat friend Boo are The Fix It Team. 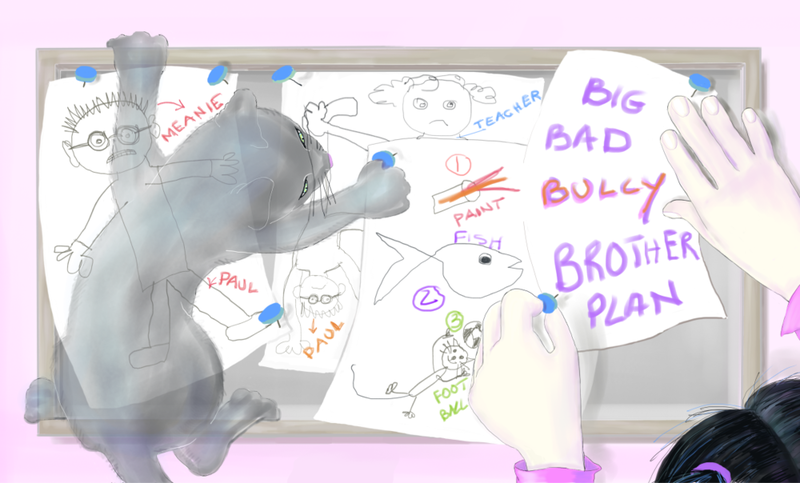 In this illustration they are making a plan for how to teach their friend Sophie's brother a lesson. The aim is to make him want to be nicer to his sister. As the book didn't get published or become a series, they didn't get to solve any further problems! Too bad as they were a good team and loved the work! Check out all my books for free in my Gallery!